Birmingham is the UK’s second largest city in terms of population - the regeneration of its shopping and industrial areas in recent years have made it an attractive place to live, work, study and visit. Unemployment is relatively low and there’s been a dramatic rise in start-up businesses - the highest number in any city outside London in fact. Perhaps, too, it’s because so many students who attend university in Birmingham grow to love the city - it is, after all, a great place to study - and decide to stay here after graduation to start their own businesses. If you live or work in Birmingham, or if you’re a student or just visiting for a while, we have several self storage sites around the city. Our Birmingham Central and Birmingham South stores are both conveniently located for the city centre and easily accessible by road and rail. A little further out from the centre are our stores at Birmingham Yardley, Birmingham Sheldon, Oldbury and Wednesbury. 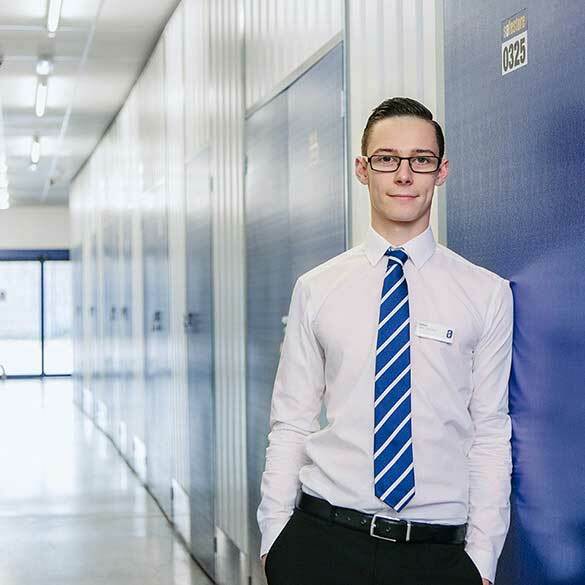 At all of our Birmingham self-storage sites, you can choose from units in a wide range of sizes, from lockers of 10 sq ft up to warehouse space of 500 sq ft+. Whether you need storage for furniture and furnishings during a house move or renovation, student storage over the holidays or space for your business stock, equipment or archives we can help. We can also provide office space at low weekly prices with no hidden fees or long-lease tie-ins. All of our stores are easy to reach if you’re looking for self-storage in Birmingham or areas such as Wolverhampton, Solihull, Telford, Derby or Worcester. If you need self-storage units that are secure, accessible and flexible at low prices, call any of our Birmingham stores, click to book or reserve a unit (there’s no deposit to pay) or complete our online contact form and we’ll call you back as soon as possible. Get a storage quote today and reserve a Birmingham storage unit for free. We won't ask for a security deposit either. Get 20% off if you need self storage for longer than 12 months. Available at all Birmingham Safestore centres. Terms apply. Birmingham, West Midlands, is the largest and most populous British city outside London. The city has a rich history which makes it a unique and inspiring place to visit and is best known for its bustling business, industrial background and hardworking ethics alongside arts, music, culture and a variety of entertainment. Whether you’re in need of long or short term storage in the city of Birmingham, you’re sure to find what you need with Safestore. We are the UK’s No.1 choice for storage as we offer flexible storage solutions tailored to your needs; if your storage needs happen to change, Safestore are more than happy to modify your storage package to accommodate your needs! Get in touch with our friendly team for a quote today. The Safestore team is always happy to help you! Birmingham, the second largest city in the UK has a wide range of independent restaurants, shops and bars throughout the centre and is home to over 100 companies, including high profile occupiers, such as Rolls Royce, Fujitsu, EE and IMI. Whether you have a large business and need more space or you need to store stock for your home based business, Safestore can help. We know that storing can be a stressful and laborious process. That’s why we have a team of friendly advisers that can help you with anything related to storage. From offering packing materials to deciding what unit size you need, we’re here to help. If you need furniture storage in a hurry (e.g. if your house purchase has fallen through and you need to move into temporary accommodation), our units are available quickly; call or book online with no deposit to pay. Store your furniture for just a week, or for as long as you need at a low, weekly cost at Safestore Birmingham. The Midlands is renowned for being a friendly place and our professional advisors in store and on the phone embody just that. Birmingham advisors are experts in their field and can help you every step of the way through your storage journey. Safestores, in Birmingham and beyond, are proud to have been awarded a ‘Gold Trusted Merchant’ award for every year between 2014 and 2018 by Feefo (an independant customer tracking system for businesses), commending our ability and commitment to making customers happy.